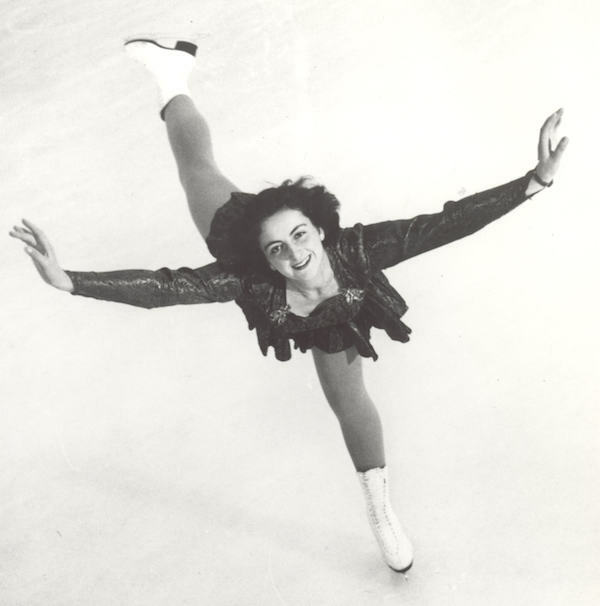 Shortly after Great Britain’s Jeannette Altwegg claimed the 1952 Olympic title, she retired from the world of competitive skating. Declining all professional skating offers, Altwegg instead retreated to the Swiss village of Trogen, where she took a low-paying position at the Pestalozzi Children’s Village looking after child refugees for a year. In 1953, on the recommendation of Sir Winston Churchill, Altwegg was made a Commander of the Order of the British Empire in acknowledgement of her contributions to figure skating. That same year, Altwegg married Marc Wirz, the brother of Suzanne Wirz, the 1952 Swiss champion. The couple had four children before divorcing in 1973. For almost six decades Altwegg declined all interview requests, stating a desire for privacy. All that changed when the organizers of the 2011 European Championships extended an invitation to Altwegg to attend the gala in Bern, Switzerland. She accepted. Attending a skating event in her adoptive homeland after so many years was a pleasure, Altwegg said. “But, oh my goodness, you have to be a mathematician to understand it all now. I am happy I do not have to bother with puzzling over the marking. It is all so complicated. It is lovely to sit back and enjoy it all. 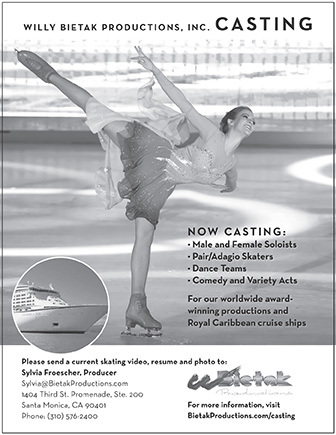 Skating has taken on a whole new life. For me the artistic side has been the biggest change of all. In comparison, we were just sort of lumbering around in our day. Born in Mumbai, India on Sept. 8, 1930 to a Swiss father and an English mother, Altwegg was raised in Lancashire, England. Though skating was her passion, she also excelled at tennis and was the runner-up at the 1947 Wimbledon junior final. Coached by Jacques Gershwiler, Altwegg rose steadily through the ranks, claiming the 1947 national junior figure skating title and four consecutive senior crowns (1948-51). The following year she placed third at Worlds in Paris, ranked second at the 1950 Worlds in London and claimed the global title in Milan in 1951. She repeated the same pattern at Europeans, claiming bronze in Milan in 1949, silver in 1950 and gold in Zurich in 1951. Just eight days prior to the opening of the 1952 Olympic Winter Games she defended her European title in Vienna. On a bitterly cold February day at Oslo’s outdoor Bislett Stadium, 30,000 people were on hand to watch Altwegg claim Olympic gold. Her victory brought cheer to England, a nation grieving the sudden death of its beloved monarch, King George VI, two weeks earlier. Altwegg’s victory was the first Olympic figure skating title for Great Britain in 44 years (Madge Syers claimed gold in 1908). She is the only British woman to have ever won two individual figure skating medals at an Olympic Winter Games. It would be 24 years before Altwegg’s countryman John Curry claimed Britain’s next Olympic crown at the 1976 Games. Her daughter, Christina Wirz, was a member of the Swiss curling team that won the World Championship in Moose Jaw, Sask. in 1983. “She said she wanted to do everything I did,” Altwegg explained with a laugh. Altwegg was inducted into the World Figure Skating Hall of Fame in 1993.